This bowl of Heart Healthy Black Bean Soup is hearty and will warm you up on these cold winter days. Since old man Winter is not finished with us, I am looking for comfort foods that aren’t full of calories and but are full of flavor. 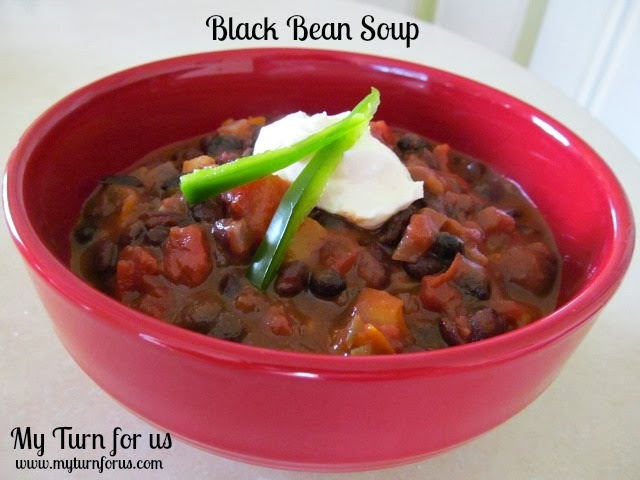 This Black Bean Soup is hearty and has an added health benefit and is very filling. 5. Serve with the sour cream and the sliced jalapeño. We love black bean soup at my house, too! I made a batch a little while ago with squash in it, which was really tasty. I have never added bell peppers to it though – I'll give that a try next time I make it! This is very very good. I 'm pining this recipe as I will make it. I think this will fit in well with my new eating program! Thanks so much for sharing, and for participating in the blog challenge! Looks delicious! This has definitely been a winter for soup here! I LOVE a good black bean soup! I make black bean soup and use the leftovers on potato, rice or pasta. It's yummy!! That's pretty simple. I'll try it. We eat a lot of leek soup. It's my family's favorite, although I'm not much for it. Thanks for participating in the Boost Challenge. 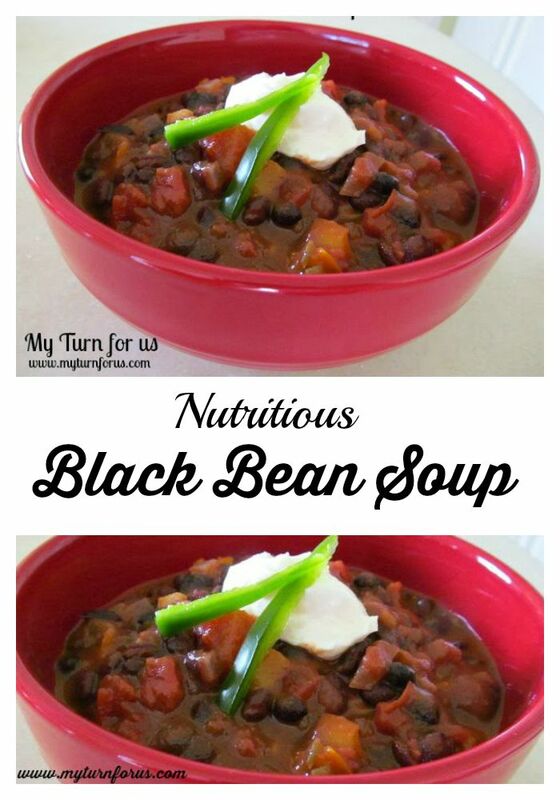 My husband isn't a huge fan of black beans but your soup does look like it would taste wonderful! 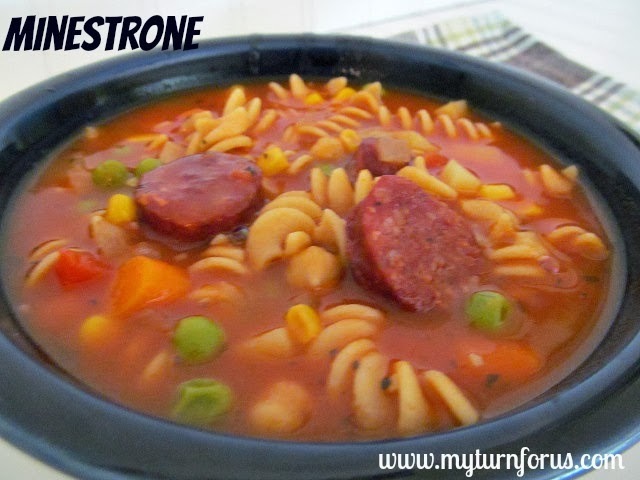 I'll have to check out your minestrone soup recipe as that sounds like something that would be more popular around here. I'm always looking for new recipes to add to our rotation. What a great idea for a blog. I've often thought there need to be more older, er, mature bloggers contributing their wisdom! Visiting from BYB. Mmmm, still hearty and bursting with flavor, but not so heavy. What a yummy soup. Thanks for sharing at Simple Supper. 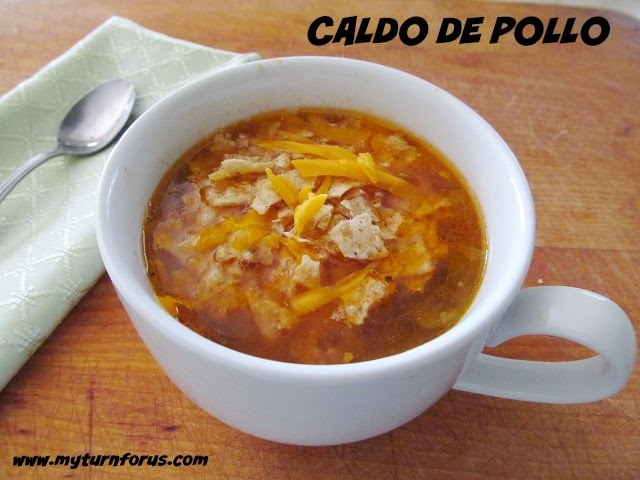 I think our cold days are about gone in the DFW area, but I love collecting good soup recipes. This one looks delicious and easy. I'm stopping by from the 100 Days Challenge and am glad to have found your blog. It has definitely been soup weather here. I'm always looking for new recipes that are healthy and filling. This looks so yummy! 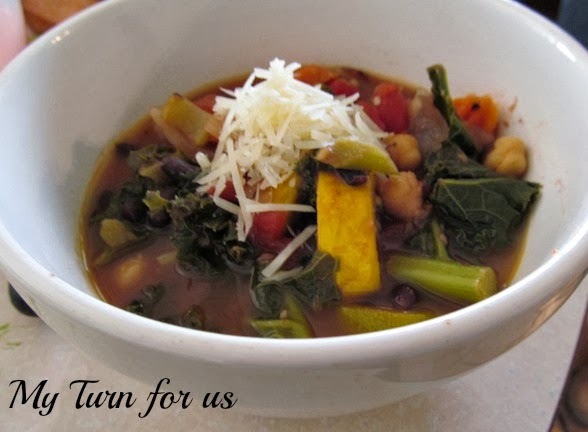 Soup is a favorite around our house, it is just always so comforting! Visiting from BYB! I lost a great recipe for Black Bean Soup and this one sounds very similar. Thanks so much for sharing! I'll be making this right away. This sounds delicious! I love black beans. Definitely going to try this! Thanks! I came here from Thursday Think Tank. The Black Bean soup seems like it would be so good, except I'd have to leave out the jalapenos since our tummys won't tolerate. Probably use a little chili pepper. Hearty, inexpensive, filling–what more could we ask for. Shared it with my daughter. pinning! oh my, we love black beans and this looks wonderful! Hopped over from Katherine's Corner to read more. Happy Thankful Thursday! This looks fantastic! Thanks for sharing on the weekend re-Treat link party! G'day I could so go for some of your soup right now!